I'm a dreadful gardener - look at the potatoes that I planted back in March! I didn't get around to hoeing this patch and then when the self-sown poppies started coming up I thought I'd wait and see the flowers. Well here they are. 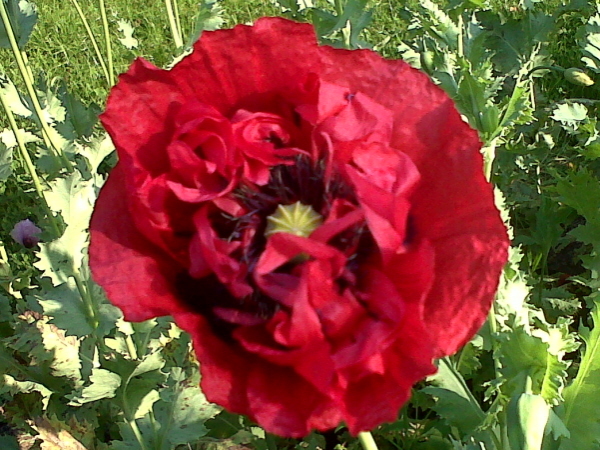 I dug a row of Pentland Javelins last week and they were fine so maybe the poppies haven't done too much harm. 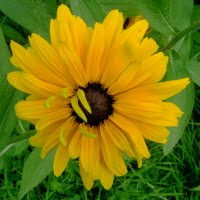 But today I went to dig some Kestrels for tea and there were so many bees buzzing in the poppies I had to go and dig up some "feral" potatoes growing by the broad-beans. These are ones which have come up from tubers overlooked last year and usually provide some extras to the official planted potato crop. 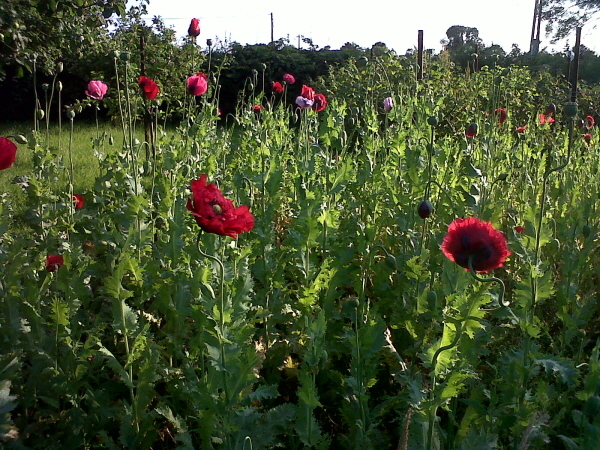 Poppies - lots of them - growing between the potatoes. 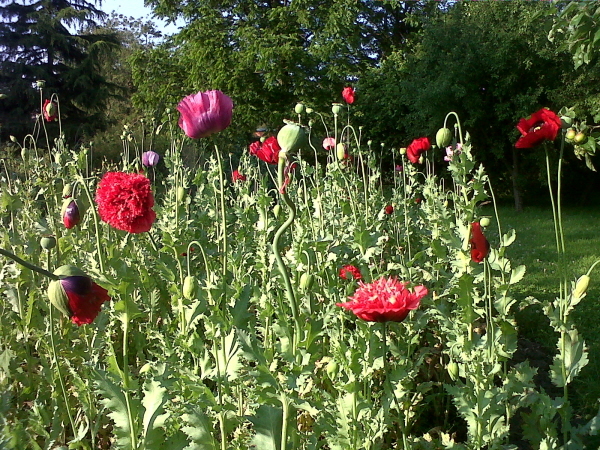 I should have weeded - but they are lovely - and the bees enjoy them.